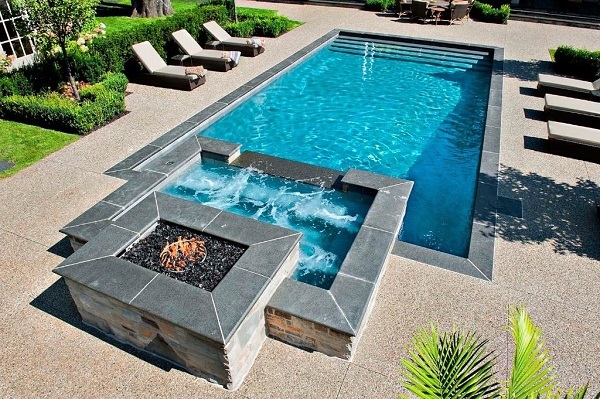 Hot tub is like a must-have thing that should be added to your backyard. Many homeowners are willing to spend lots of bucks to purchase a spa due to its numerous benefits. 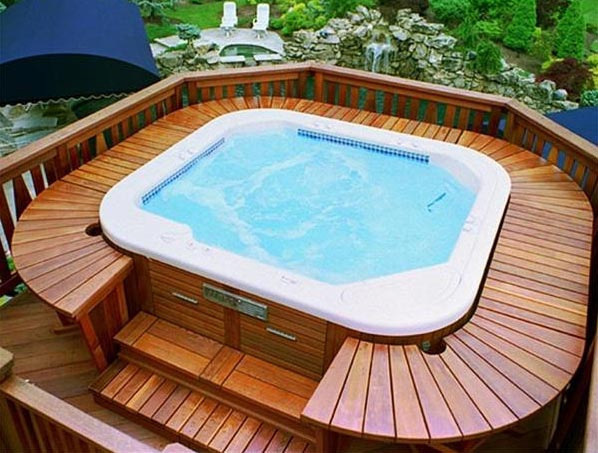 Yes, buying a hot tub is always a good investment due to its numerous benefits that will increase your health from head to toe. The most obvious benefit of a hot tub is that it gives a maximum relaxation to your body which eventually will improve your wellbeing. 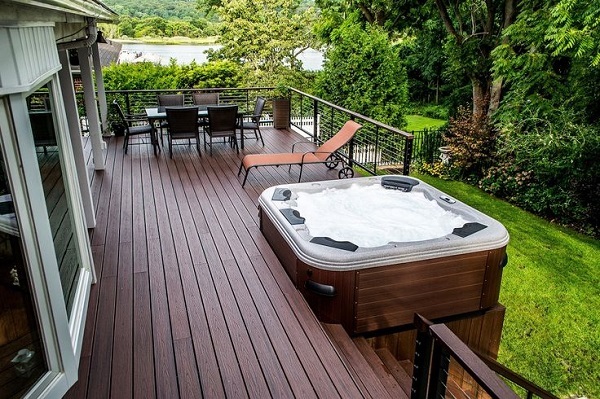 For thousands of years, humans have recognized the benefits of a hot tub, therefore investing your money in a hot tub is never a bad idea. 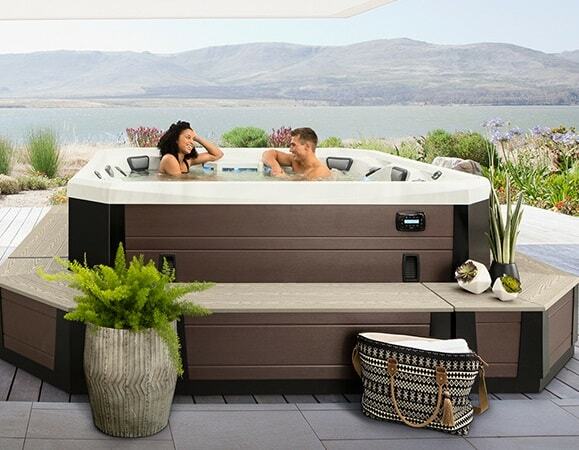 But now, there is a more sophisticated version of a hot tub that will offer you way more benefits. It is called a swim spa, a hot tub that is made much larger than the regular one to provide you a space to swim inside. For sure, this is not a pool where you can swim around, but it’s where you can move your body in a swimming move continually. The machine performs the continual water current endlessly as you wish. How much does a swim spa cost? Well, the first thing that comes to your mind must be how much the swim spa cost, right? Let’s just say that you have to spend about $9,000 to $22,000 for a swim spa compared to a regular swimming pool that can cost you $21,000 to $40,000 and $3,000 to $13,000 for the acrylic spa. The price can vary due to size, features, materials, and all the bells and whistles. 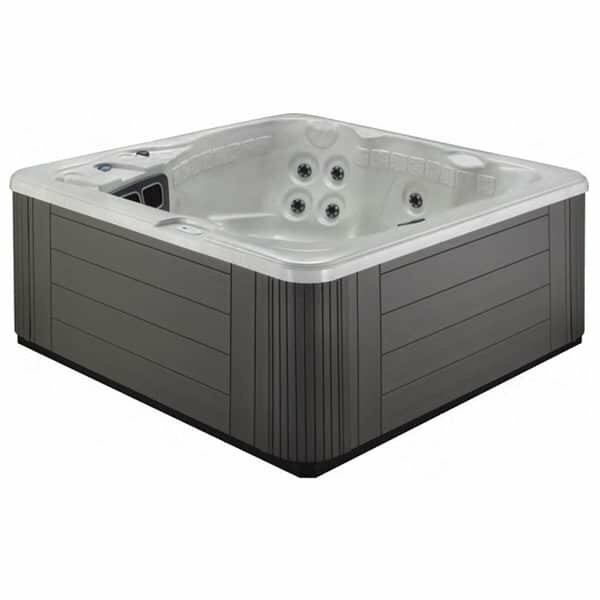 So swim spa can be a more affordable solution for the regular swimming pool, and a good consideration when you are about to buy an acrylic hot tub. For the use, a swim spa can cost you as cheap as $2 a day. It is a very great operational cost, but you have to keep in mind to find a unit that features a good foam insulation system. The most beneficial point from the design of a swim spa is that it can save you a lot of space. You don’t need to have a huge space in your backyard, it’s so appropriate to place on your patio or deck inground or above ground. Even more, a swim spa can also be installed indoor conveniently. This one is actually not a ‘real swim spa’ but more like designed for particular aquatic exercises such as resistance bands, pull bars, and underwater treadmills. It is a suitable choice for you who look for a swimming pool for therapeutic purpose. Here, you can swim continuously supported by the steady current from the jet propulsion and rotating paddle wheels. You can perform lots of various exercises as well as the numerous types of relaxations.It’s also called as fitness or trainer model and the popular one among all the models chosen by many homeowners. If you are looking for a more comfortable swimming, this one is a perfect choice. The size is neither too big nor too small, ideal for the medium backyard while giving an ideal spacious space for your aquatic exercise and hydrotherapy. Commonly, the spa within this category carries more various features to provide you a maximum swim spa experience. Both the options of swim or spa are available widely comparing to the other categories. This one is called an Olympic swim spa which comes with the longest option available with a separate area between the spa and the ‘pool’. Both the pool and spa are made in spacious space with each complete features. The spa can accommodate 4 to 6 people comfortably at once with about 30 to 60 hydrotherapy jets. Then, the pool is long enough for you to do various swimming moves continually. You can always add various and whistles like fountains, lighting, sound system, additional water management, WiFi, and even, an underwater camera that can monitor your exercise progress. The cabinet of the swim spa is also offered in various model and style just like the ones for the acrylic spa. Mostly, it is made in the rocky or woody style to match the backyard’s environment. It costs for about $1,000 – $2,000 depending on the material and design that you prefer. The performance of the swim spa is also determined by the size, the more features that a swim spa are equipped with, the better performance that you will get. Generally, the 10 – 11 feet swim spa only comes with 12 jets, the 12 – 16 feet is equipped with two seats that have 12 jets for each, the 17 – 18 feet has 2 jet seats and 2 standard seats, then 19 – 21 feet commonly features 4 to 5 jet seats with 4 to 6 jets. Commonly, a swim spa performs the water current that flows from the front of the unit to the rear. It pushes 5,000 to 30,000 gallons of water every minute, with this range of performance, you can swim at 0.6 to 8 mph.A�The current of the swim spa is generated from 3 sources which are jet propulsion, paddlewheel, and propeller. If you are looking for the swim spa for regular use, the one with jet propulsion and paddlewheel is a great choice, because the unit with the propeller is more suitable for advanced swimmer. The reasons are, jet propulsion and paddlewheel produce the current that much smoother than the propeller. The jet propulsion works by pushing the water which is produced by the several jets towards the swimmer from the head of the unit. Paddlewheel offers you the current that flows like an actual swimming pool. Then, the propeller is different than the others in which it pulls the water through to unit. Below, we have some recommended swim spas from different brands that you can consider to buy. From its name, you guess that this swim spa is made professionally to provide you the best aquatic exercise and therapy exercise. Yes, this Master Spa’s product is manufactured with the help from Michael Phelp, one of the world’s best swimmer with 18 gold medals. The global reputation of Master Spa itself is a guarantee that this product is totally worth to buy. This brand has earned dozens of prestigious awards that make it reasonable enough to be called as the world’s leading spa manufacturer. Michael Phelp Signature includes to the large swim spa category with 17.9 x 7.8 x 12.6 feet dimension. The depth of the unit is 4 feet with 2,275 gallons water capacity. 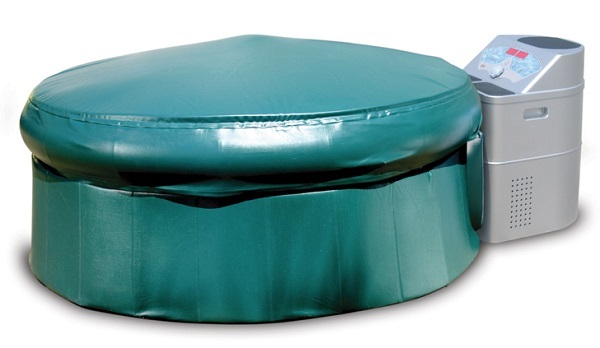 It is a very convenient size that is very comfortable both for swimming or hydrotherapy activity. The standard bells and whistles of this unit include Deluxe Waterline LED Lighting and Rowing and Exercise Equipment. The shell is offered in two options which are Sterling Silver and Sierra and also two cabinet options which are Portabello and Espresso made of DuraMaster Ultra Poly Skirting which resembles the look of the wood. MP Signature comes with the propulsion system, which as stated before, will give you the smooth and wide current through the swim spa. Therefore, this unit is also very suitable for advanced swimmers and trainers. 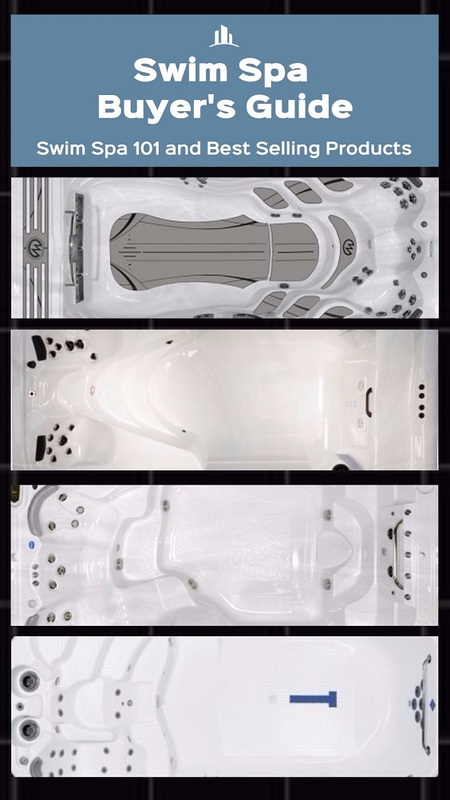 For the spa features, the product is equipped with 39 stainless steel jets, Xtreme Therapy Seats, and Xtreme Therapy Cove which will relieve your stiff muscle perfectly. Other standard features include EcoPur Filtration and Noise Reduction System. This swim spa is also one of the most energy-efficient products which only need 50 amp electrical service. MP Signature Swim Spa is sold with about $45,000 price tag, it is such a high-end swim spa with very great features and designs. This company began its business in swim spa since more than a decade ago. They are known well for its energy efficient feature which is not only about the cost, but also environmental impact. AquaPlay is one of the best affordable options of swim spa with lots of reliable features. 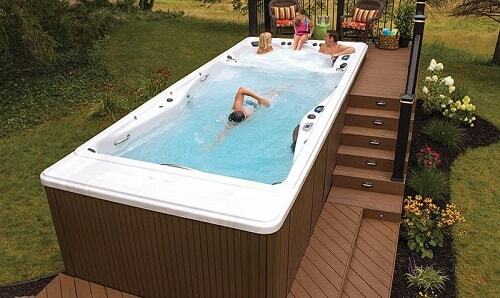 As the name suggests, this swim spa is more for playing rather than exercising due to its 12.5′ length x 7.75′ width with 1,489 gallons water capacity. It comes with Aqua Rowing Machine, Aqua Fitness Kit, and stainless steel exercise bar. The spa itself can fit up to 3 adults inside with dozens of jets that will specifically massage the targeted parts of your body. Here, the seating area is minimized to provide the spacious space for training activity. As told before, this affordable swim spa guarantees you a very low use cost due to its energy-efficient feature like the HydroWise Thermal Shield cover that can keep the heat inside the unit very well. The salt water technology of this model allows you to have a crystal clear water that doesn’t only look sparkling but also gives you lots of benefits. You will get a silky water that is very pleasing when it touches your skin and saves the use of spa chemical too. Hydropool AquaPlay is offered at about $22,000 which is definitely affordable to buy. It has included numbers of aquatic exercise equipment. Almost similar like Hydropool, Arctic Spas is also known for its reliable heat retention that makes their product can cope with extreme weathers very well. For more than two decades, the brand has succeeded in the all-weather spa business. Juneau comes with the 14.3 x 3 x 1.6 feet dimensionA�with 1347 US gallons water capacity. The size is quite ideal to perform some energetic swimming moves inside the unit. Since this model is more focused on advanced swimming exercise than hydrotherapy, it only has 14 jets with two loungers. To beautify its look, the built-in underwater lighting and backlit drink coaster are equipped with the unit. The most significant feature Juneau is the Niagara Counter Current Swim system. It produces exceptional current for your great swimming experience on this swim spa. The current is performed by the jet that moves the water up to 27 feet/second. For a more convenient swimming exercise, the SwimAlign LED will let you focus on the direction. To relax you optimally, the jets around the spa area are placed in specific zones to smartly massage your body. Other spa options include multilevel armrest, ergonomic seats, and adjustable headrests. As an all-weather swim spa, Juneau is equipped with the Free Heat feature that keeps the water better. Therefore, you don’t have to worry to use it in the winter which then, of course, saves the energy cost. You have to spend for about $20,000 to get Juneau in your backyard. This is such an affordable spa with the great features for your advanced swimming experience. For more than 3 decades, CalSpa has involved in a spa business. The company started to develop its swim spa products that quite famous in the market. They named their swim spa collection the Swim Pro. 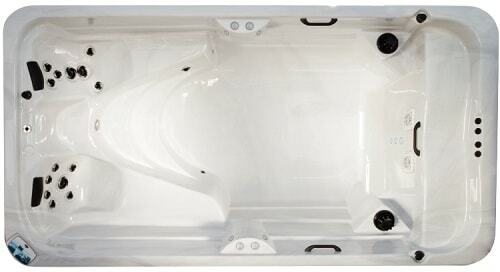 This model is categorized intoA�the small swim spa with 11.75 x 7.75 x 3.5 feet dimension. It can hold about 1,500 gallons of water. With this size, the unit can occupy up to six people for relaxation activity. The model is also a nice choice for resistance training purpose. You can only find one shell color option which is sterling silver. Then, there are 3 cabinet colors which are Mist, Mahogany, and Smoke – all resembles the look of wood. For a more attractive look, it also has the multi-color LED lighting. 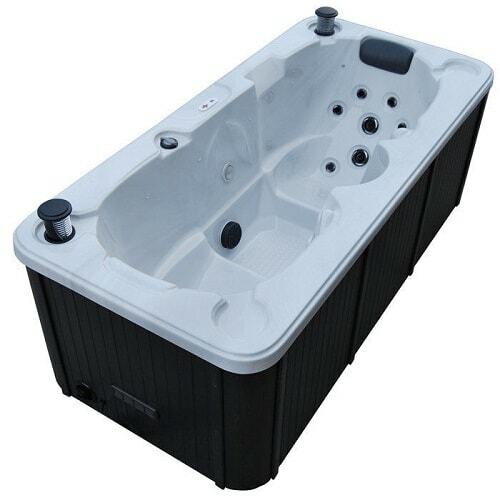 With a 6.0 BHP Swim Jet Pump, this swim spa produces strong enough current for your aquatic exercise activity. It is also supported by the 9″ stainless exercise bar. The model’s 22 Exclusive Stainless Steel Candy Cane Jets are enough to give you the relaxing hydrotherapy experience completed by the I-Pillow headrest. Other reliable features like Bio-Clean Antimicrobial Filter with Teleweir Gate and Whisper Hot Titanium Heater. They are very helpful in providing you the best swim spa experience at a very low cost. Who doesn’t know this brand? 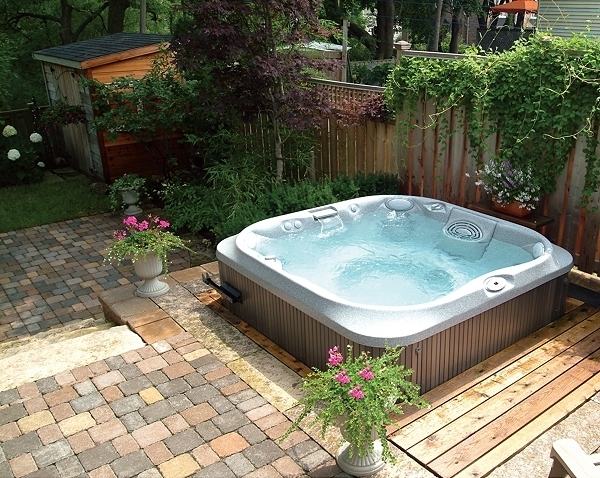 For about 3 decades, Dimension One Spas has manufactured some best-selling spas that have satisfied lots of homeowners. All of their products are designed to be environmental-friendly in which saves a lot of energy cost. A bit different than the other models, AquaFIT Play comes with a curvy design. The dimension of the model is 16 x 7.5 x 4 feet with 1,700 gallons of water capacity. 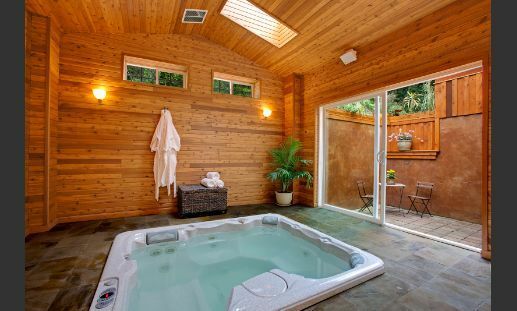 This mid-range swim spa is spacious enough for lots of aquatic exercises and cozy hydrotherapy. You can choose to have a unit with 4 or 6 swim jets depend on your needs. The material of this swim spa is quite unique which made of DuraTex. It is a very durable material which doesn’t neglect the comfortability of the spa. Here, you will find lots of cabinet color choices include Driftwood Gray, Summer Pine, Cherrywood, Vintage Cedar, and Unstained Wood. They all look so wonderfully earthy to enhance the beauty of every backyard. As an energy-efficient swim spa, AquaFIT Play features a very great heat insulation made of urethane foam. It also has one of the best water management systems called UltraPURE. It works by processing 10,000 gallons of water per day and the result is a clear fresh water which is very enjoyable. The unit’s high-volume swim jets are powerful enough to provide you the fun aquatic exercise time.A� Both for swimming and relaxing activities, the AquaFIT Play will not disappoint you. Are you ready to bring one home? So those are some things that you need to know about swim spa, so you can find the one that fits your needs. 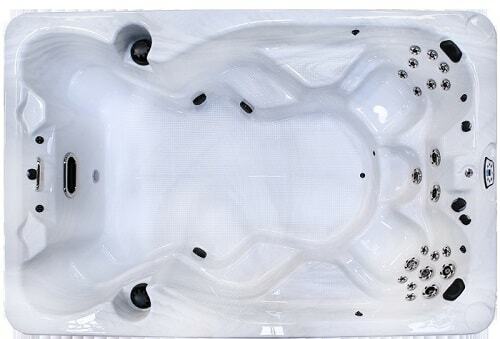 The swim spas that we offer, each of them has different feature and design. It will determine how the swim spa will fulfill your requirements. If are willing to spend lots of bucks for a high-end spa with spacious space and advanced ‘swimming’ features, of course, Michael Phelp Signature Spa is a great choice. The price may be really expensive, but you will not get ay disappointment at all. 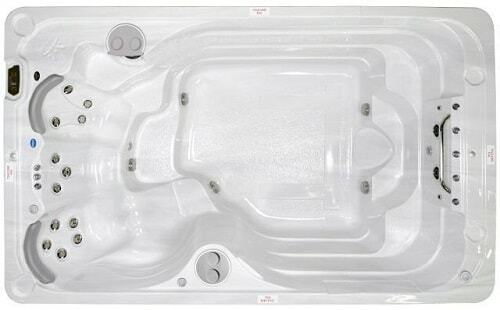 Then, the most affordable of all yet with satisfying features is the Hydropool AquaPlay. However, if you are more concern of the electrical consumption in the future, then go with the Arctic Juneau. Keep in mind to check out the brand reputation that may impact the quality of the swim spa that you intend to buy. Sure it cannot become such a generalization to judge a swim spa products, but somehow, you also need to consider this thing. Having a swim spa in your property is never a bad idea. 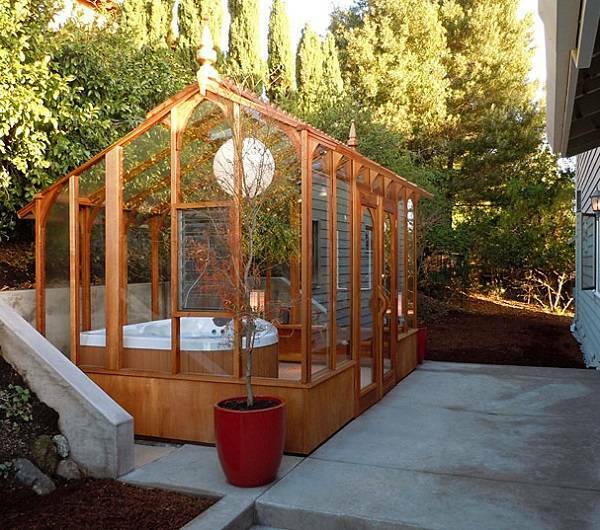 You can get theA�benefits of a swimming pool and a hot tub at the same time. It saves you lots of money, times, and spaces, therefore the popularity of the swim spa keeps rising day by day.